Berger Partnership has joined forces with SHKS Architects to fight homelessness through the Block Project. We invite you to join us at the office of SHKS for a fundraiser this coming Friday, June 1st at 5PM. The BLOCK Project invites community into the task of ending homelessness by placing a BLOCK Home in the backyard of one single-family lot on every residentially zoned block within the City of Seattle. Each 125 sq. ft home is beautifully designed to be off-grid, self-sufficient, and amenity-rich (featuring a kitchen, bathroom, sleeping area, solar-panels, greywater system, composting toilet, etc.). Over 30 homeowners have opened their back yard to a BLOCK Home. This effort helps build them! To learn more about the BLOCK Project click here. 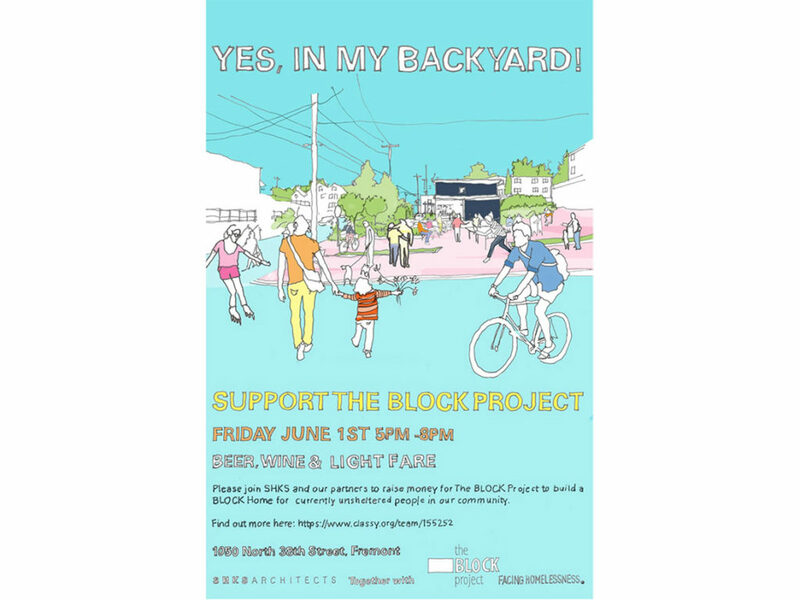 Can’t make the event but want to support the Block Project and Berger Partnership? If you can’t attend please consider making a donation to support our team by clicking here: https://www.classy.org/team/155252 or sign up to volunteer your time here.